Your pictures are great!!!! And um, I love me some apple crumb pie! looks fabulous! I would like a bite right now! 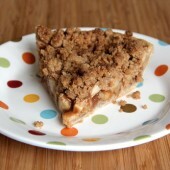 Love apple crumb pie, yours looks delish! I love the crumb topping! Apple pie is my favourite too. Now I want one! I am now officially craving a slice. Beautfiul photos! Ohhh, I love apple pie, and the crumble topping. This looks delicious! Every. Single. Pie should be made with crumble topping. Yum. 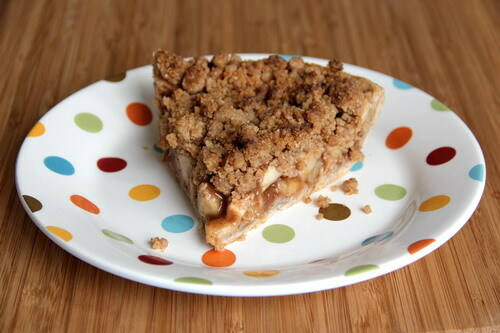 I love apple crumb pie and I REALLY want a piece of this now! Oh my goodness apple pie is my favorite, and this looks amazing! mmmm! That crumb topping would have screamed at me, too! Beautiful!! This is a very beautiful and delicious looking pie! Streusel toppings are so good on pie and your pie turned out so beautiful. Really nice photos. OMG It is screaming to me too! That topping alone is scrumptious! my husband LOVES apple pie…I should make this for him! :) ps. love that polka dot plate! You really should! It’s so easy. I couldn’t resist the plate (bowl and crock lol) when I saw them on clearance at Pier1! Fabulous! All that beautiful apple and a crumb topping I cannot resist. I have thousands of recipes bookmarked, so to find one that I have to make “right now” is pretty rare. I can totally see why you were so drawn to this recipe – I LOVE apple pie!! Crumb topped apple pie is my family’s favorite way to eat apples. Yours looks delicious. I love the cinnamon in the crust. 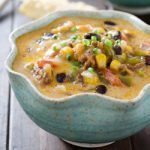 Next time you make a recipe from another blog, I would love for you to come over and link it up on my Monday blog party, “Your recipe, My kitchen” where I am slowly making my way through my own list of “to try” recipes. Rachel-Your apple crumb pie is so inviting, and droolworthy. 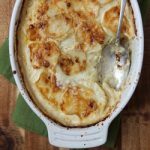 Love the step-by-step photo direction, and the fabulous recipe as well. 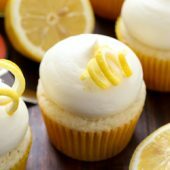 I buzzed you, on foodbuzz! Oh, I can see why this was screaming at you. What a delicious looking pie. I’m a sucker for apple pie too. The crumb topping looks awesome. 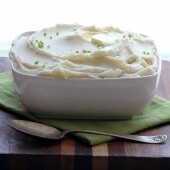 I’m a premade crust girl (for now)…is there one that is better than others? This looks delicious!!! What a great post! Now it’s screaming at me!! haha! 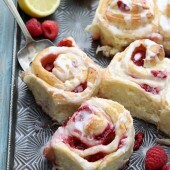 Seriously, maybe once my mouth stops watering I will go make this… Yum! 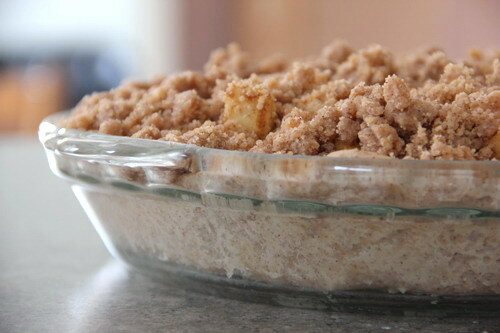 I love apple crumb pie. Thanks for posting this! This really looks so amazing. I think this would make a lovely dessert for a family dinner. You take great photos. Made this pie twice now and it is not only easy but delicious. Used my own Pippin apples. No need to change a thing!!! Perfect!!! Hi! Allspice is actually a spice of it’s own but if you’re unable to obtain it where you live, you could easily substitute a mixture of cinnamon, cloves and nutmeg in it’s place. 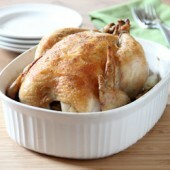 Typically the recommendation is 1/4 tsp cinnamon, 1/2 tsp cloves and 1/4 tsp nutmeg in place of 1 tsp allspice. 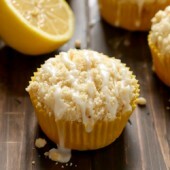 Because this recipe already calls for cinnamon, I’d recommend a pinch to 1/8 tsp of each cloves and nutmeg. If interested, here is a bit more info on allspice: http://en.wikipedia.org/wiki/Allspice. I hope that helps! Hey, my crumble never comes out the way your picture has it. I have tried like 3 different types of butter. It’s too soft. Is my butter too hot? OOO That looks so good! I love apple pie! Thanks for the apple crumb pie. Just like mom used to make!! Made it for Thanksgiving. YUMMO!!! Making it right now!! YUM! Is it OK if I prepare everything a day before? Can I make the crust and filling and leave it in the fridge until tomorrow morning? Or will the apples become too soggy? 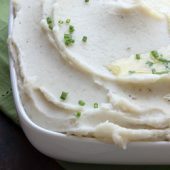 Found your recipe while i was searching the net for something to make for our guests. Rachel. I have been making Apple Crunch pie for some time now and my family loves it. 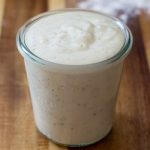 I tried your recipe and found that yours is a bit better than mine. Thanks to you, my pie is a great hit all family gatherings. Making 2 of them now!!! THEY Smell AWESOME!!! :-) Thanks! Wow! 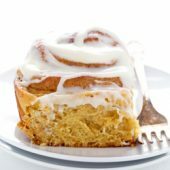 I am going to make one right now!=) Thanls! Does only make one pie?